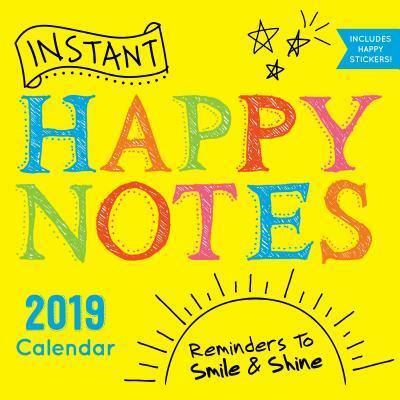 Instant Happy Notes 2019 Calendar : Reminders to Smile & Shine! Receive a dose of instant happiness every day of 2019 with this unique, full-color wall calendar! The beautiful illustrations, inspiring quotes, simple affirmations, and over 250 fun stickers give you the perfect way to brighten up your day and provide a new reason to smile.